The current European Formula 3 cars could race on in 2019 despite the FIA launching its new International F3 spec-car concept, which will replace GP3 on the Formula 1 package next season. 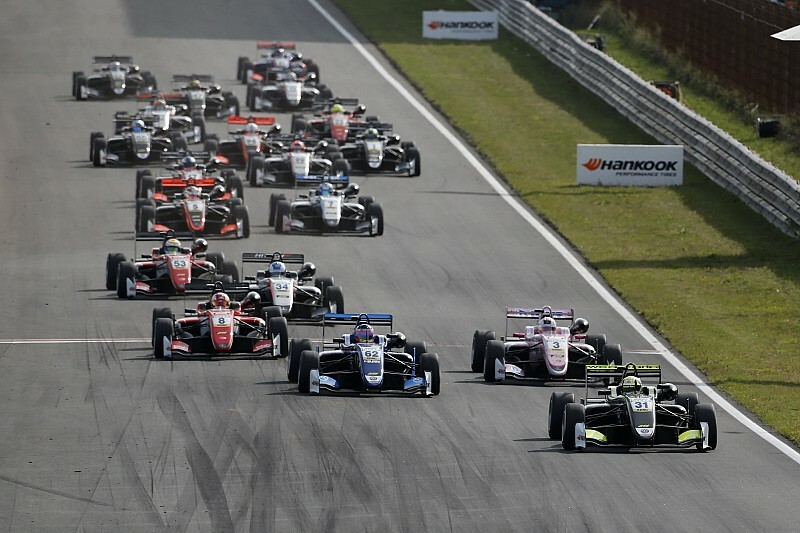 It has emerged that Formel 3 Vermarktungs GmbH, the division of the DTM-promoting ITR that has organised the FIA’s European F3 series since 2013, is pushing on with plans to revive the old F3 Euro Series – a name it owns the rights to across Europe. ITR chairman Gerhard Berger originally floated the idea last summer, but then back-pedalled when it appeared that the existing European F3 teams were going to align with the FIA’s new formula. But now F3V CEO Walter Mertes is proposing the idea again – Motorsport.com understands that this was discussed at an ITR meeting earlier this month. 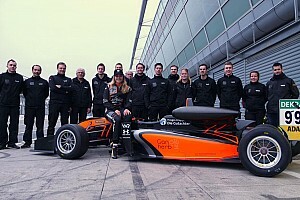 Mertes, whose company has promoted F3 right back to the 1990s era of the German championship, told Motorsport.com: “In the past we have always been competing on an international level with GP3 or several national series, but we were always able to establish our series as the top training ground for young talents on their way to F1 and other top-tier categories. “This is what we would like to continue in the future. “We will make a proposal to the teams to run the Euro Series again based on the current regulations – if enough teams support our plan, which we think will be the case, we will go ahead. “It has to be the best possible business case for the teams, therefore it makes sense to run the series for another two years. It is believed that there has been dialogue between the F3V and the FIA regarding the existing cars being granted Regional F3 status as part of the governing body’s new initiative for a secondary F3 class, but it is unclear whether this would depend upon the cars conforming to the fledgling category’s safety regulations, including a halo. But other F3 paddock insiders have asserted that the Euro Series should go ahead with the current machinery, regardless of whether it is assigned as Regional F3. Claes is confident that there is plenty of mileage yet in the current spec of FIA F3 car, which will also continue to race on in Japan beyond this season. 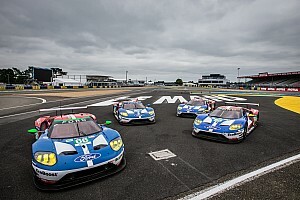 “The cars they have are still modern and fantastic racing cars – if someone has the idea to go racing with them, I don’t see why other teams in the right circumstances would not join them,” he said. 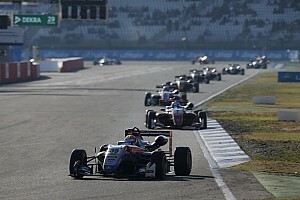 Van Amersfoort Racing boss Frits van Amersfoort, whose team is a mainstay of European F3, told Motorsport.com that “of course” he would be interested in the Euro Series. Anthony Hieatt, whose Double R team pulled out of Euro F3 in 2016, is also keen for the Euro Series to get the green light, but says costs need to be cut from the current levels of Euro F3 budgets, which can be around €800,000. “I sent Gerhard Berger an email to say if it’s all going ahead, we’d be there with a minimum of two cars, on the proviso that we’d be competitive on €550-600,000,” said Hieatt. 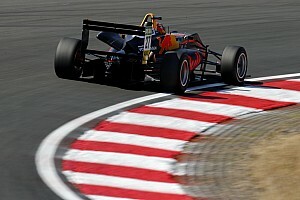 Hieatt suggested that such cost-cutting could be achieved by standardising dampers and freeing up testing restrictions so that teams do not invest in ‘imitation’ F3 cars to circumvent the existing rules. 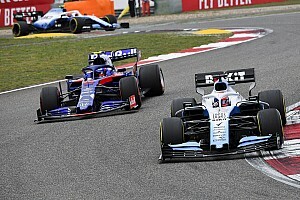 Claes added that restrictions on team staffing numbers, a reduction from 10 rounds to eight, and a general standardising of parts would achieve the same aim. “That [running cars close to standard] works perfectly fine in Euroformula Open, where you can sign for any team for €450,000,” he said.